If you ever needed shoulder rehabilitation or needed to find the cause of your shoulder pain then: Recently a 56 year old male patient came to the office with severe shoulder motion limitations and pain. He could barely lift his arm. The medical doctors answer was as always medications and a possible MRI. On the advise of his wife, a long term patient, he came to see me. I’ve made shoulder rehabilitation one of my key sub-specialties over the past 16 years, mostly due to the stresses to my own shoulder. After reviewing numerous protocols I came to the conclusion that the majority of approaches were severely lacking. They fail to fully evaluate the very intricate biomechanics of the shoulder. The protocols I have established have proven extremely effective. 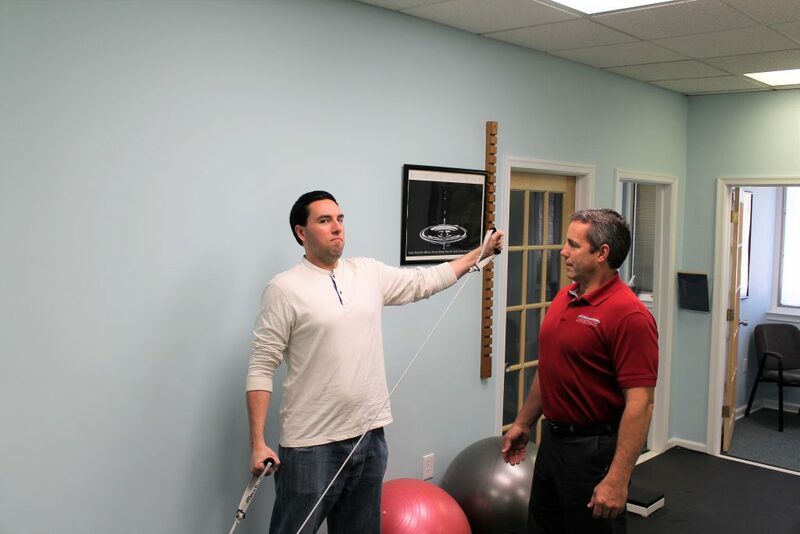 We started him on the Progressive System by first addressing the pain with physical therapy modalities. After a few visits to reduce the pain and inflammation we identified the muscles involved with a thorough 360 degree approach as well as any skeletal misalignment’s. Once the the key deficiencies were identified we worked with some deep tissue Active Release Techniques and skeletal adjustments and manipulations. The patient responded very well and in three weeks he had advanced to resistance band training and shortly after to free weights. Six weeks into care he had regained 95% range of motion and pain had reduced to a 1 out of 10. At 8 weeks the shoulder, that had been diagnosed as a rotator cuff tear needing possible surgery, had reached near perfect recovery. All without drugs or surgery. Find the cause of the pain then the treatment that works.